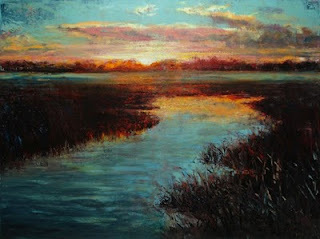 Local artist Rob Shaw is having an art show from December 16 to December 21, 2010 at 80808 Gallery. The opening reception will be on Thursday, December 16th, 2010 from 5-9pm. A native of Columbia and a graduate of USC in art studio, Rob Shaw has had numerous shows in local venues and is the featured artist at Havens Framemakers and Gallery on Gervais Stree . Principally working in oil, Shaw’s paintings include low-country themes as well as Columbia landmarks. The show is somewhat of a retrospective spanning the last six years with the majority of the work having been created in 2010. The retrospective will consist of forty to fifty images ranging from small to large. Shaw’s Paintings from this year are signed “twenty ten” which has come to symbolize a dramatic shift in his work. These recent paintings take into consideration the way life has become so deconstructed; and with his work, Shaw tries to connect it together again. By leveling out the painting surface, he is able to connect elements of the painting that were otherwise separate. Colors blend and become symbiotic of each other. This organic feel has a soothing, harmonious look. Sometimes powerful and other times tranquil, they all give off a sense of peace and simplicity. In an effort to set himself apart, Shaw abandoned brushes years ago. Now all he uses is a single palette knife. Shaw has a very painterly technique. He uses the paint and plays with the different ways it can be applied and manipulated. When asked about his work, he is often aloof, avoiding any direct answers. He feels that the painting is the statement and any translation to the viewer would only distort the intent. The paintings are meant to be paintings and nothing more, they are meant to be beautiful expressions of things we see every day. Rob Shaw was the winner of the Best in Show Professional Division at the SC State Fair in 2008. He received First Honorable Mention in the 2006 NBSC Oil Painters Invitational. 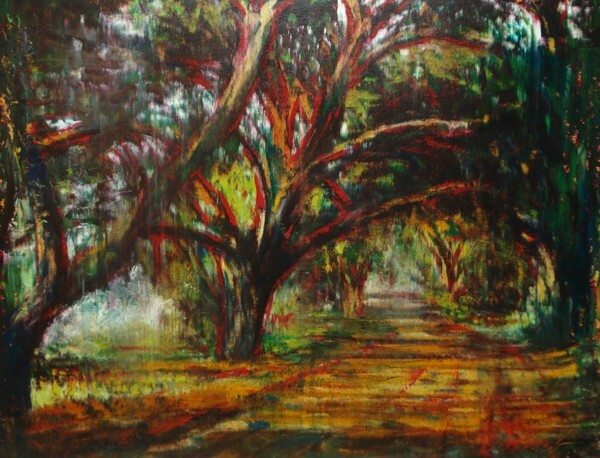 His paintings are in many private collections in the US and Europe. His corporate collectors include First Citizens Bank and The Cultural Council of Richland and Lexington Counties. For more information on Shaw’s art, please visit his website: www.robshawartist.com.